When Freedom Forum, a civil society organization based in Nepal, decided to use the country’s Right to Information (RTI) laws to investigate special funds allocated to parliamentarians, they uncovered a vast array of wasteful projects. Money meant for infrastructure and development projects being spent on musical instruments, monasteries, and municipal buildings; regulations being disregarded; and funds being channeled to party hacks. Such nebulous spending was being channeled through Nepal’s Constituency Development Funds (CDFs), mechanisms for allocating money from the national coffers for parliamentarians to spend in their local constituencies. Using Nepal’s Right to Information law to investigate CDFs, Freedom Forum painstakingly traced how money was being spent and projects were supposed to be administered. They then worked with investigative journalists to piece together a series of exposés revealing the misuse of public money. Proponents of CDFs usually argue that they allow for funds to go directly to local communities, and that parliamentarians, being closer to their own constituencies, are well placed to identify community needs. Yet, as IBP’s Albert van Zyl has pointed out, they are plagued by numerous systemic issues. Along with being prone to corruption and political manipulation, CDFs can undermine accountability in broader ways, not least by breaching the separation of powers between the executive’s role in implementing budget decisions and the legislature’s role in overseeing them. Such problems had not escaped the attention of the Nepali public. “Basically it was a big chunk of public resources [being] allocated to the lawmakers, drawing public concern. 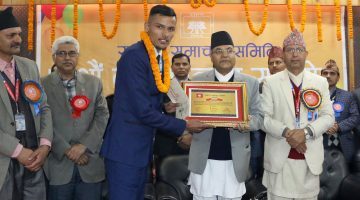 So the request was made to collect evidence of how the money was spent, and whether the stated criteria for fund management were adhered to and public money had reached the end beneficiaries,” said Taranath Dahal, Executive Chief of Freedom Forum. He added that there was a lot of public criticism on the allocation to parliamentarians whose role should be lawmaking. Freedom Forum decided to investigate. There are two types of CDFs in Nepal. A smaller general allocation is given to all 601 of the country’s members of parliament (MPs) and a much larger fund, devoted specially to infrastructure, is given to a subset of MPs. In total around 3.3 billion Nepalese Rupees (more than USD $30 million) are spent through CDFs and many MPs are calling for even higher figures to be channeled through the scheme. Each type of CDF is governed by a set of distinct rules on how the money can be spent, which organizations can implement projects, and what kinds of participatory mechanisms need to be adopted. Given the complexity of CDF administration, Freedom Forum needed to assemble an array of budget and policy documents to test whether regulations were being adhered to. Nepal’s score of 24 on the 2015 Open Budget Index places it among South Asia’s least transparent countries. It experienced a sharp fall from its 2012 score of 44 after the government failed to publish the Executive’s Budget Proposal. Yet the country was an early adopter of Right to Information (RTI) legislation, first recognizing it in the 1990 constitution and then formally enacting RTI laws in 2007. 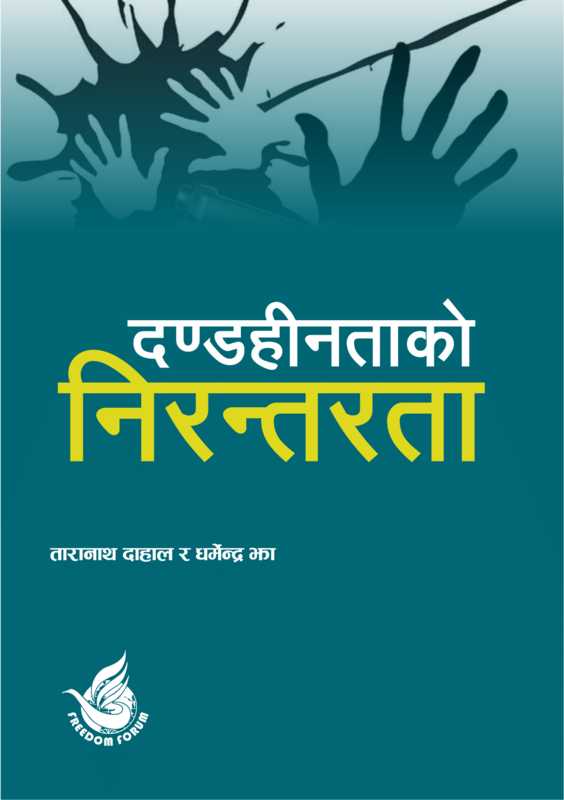 Freedom Forum launched a project to use the RTI to investigate CDFs across all 75 of Nepal’s districts. They requested a full suite of information: documents on how funding decisions were made, the breakdown of funds, details on programs, whether council recommendations were adhered to, and progress reports. Following a painstaking back and forth of requesting information, being denied, making formal complaints, and appealing decisions that went against them, they were able to extract the needed information on 68 of the 75 districts. Freedom Forum uncovered a range of petty projects that had little to do with development or tackling poverty. Money for poor communities was being spent on musical instruments and bands, funds for development infrastructure, on monasteries. Billions of rupees were spent on small projects that failed to fulfill the regulatory requirements. Freedom Forum had been training journalists on using RTI to uncover stories. While many showed interest, they often needed help in managing the laborious and technical process of prying the information out of government and piecing together what was going on. 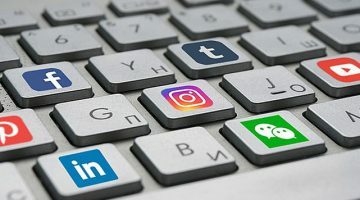 The training hadn’t resulted in a noticeable uptick in media stories that drew on RTI requests, but it did deepen the organization’s links with journalists. Freedom Forum was coming to the conclusion that the best strategy for generating media stories from RTI requests was to play an intermediary role; they would handle the RTI requests and analysis, and then work with media organizations to get the story out. The strategy proved effective. 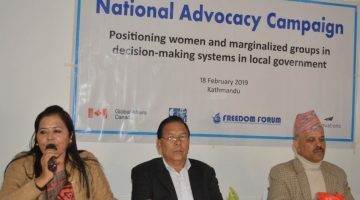 Once Freedom Forum established the extent to which CDFs were being mismanaged, they collaborated on stories with some of Nepal’s highest profile media outlets. Himal Media, a popular weekly magazine of Nepal, officially requested to use the evidence collected through RTI on several investigative stories. Kantipur, Nepal’s leading newspaper, and Republica National Daily both used the findings to publish hard-hitting stories. Freedom Forum is now using RTI requests to collaborate with Nepali media on a range of other stories. This includes a nine-month investigation into the state owned oil company, tax avoidance by local businesses that may amount to billions in lost revenue, and potential corruption at the district level. While the work can be arduous, the model is proving highly effective in shining a light on the mismanagement of crucial development funds in Nepal.